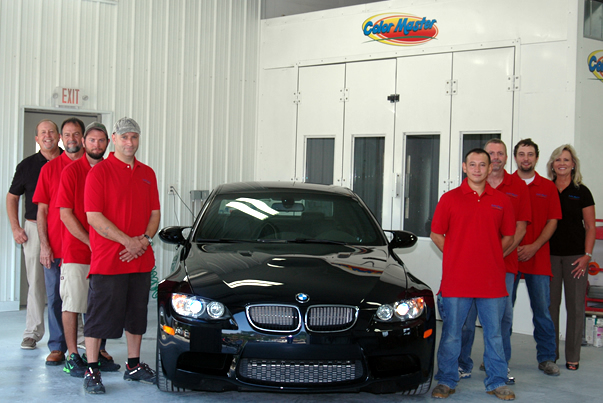 Color Master Collision Center opened for business in 1996 as a mobile “Body Touch-Up” service. Within 5 years, the body shop had established the reputation of being a quality and value minded business that stood behind every project, small or large. 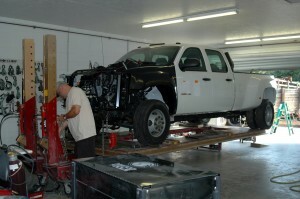 In 2012 the business enjoyed its initial expansion as the primary paint shop was replaced by a state of the art paint facility that is second to none. Top quality equipment was installed to produce above average body work. Entering 2014, the 3rd expansion of a new body shop was completed. 2015 marked the addition of new team members, but none as anticipated as “Mrs Becky”. Pat’s wife solidified our team and provided additional leadership and support as she assumed the office manager role along with co-ownership beside Pat.